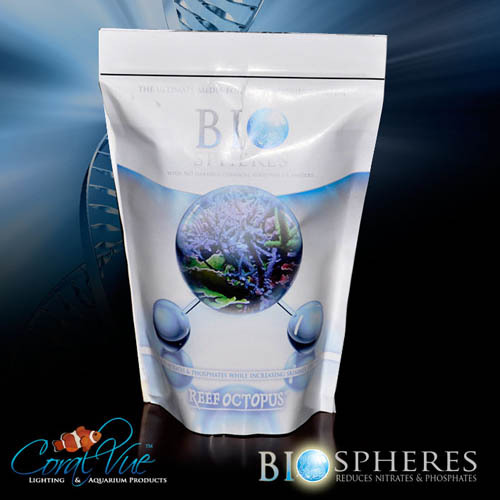 CoralVue has just released Bio-spheres, a pure solid carbon source designed to reduce nitrates and phosphates. 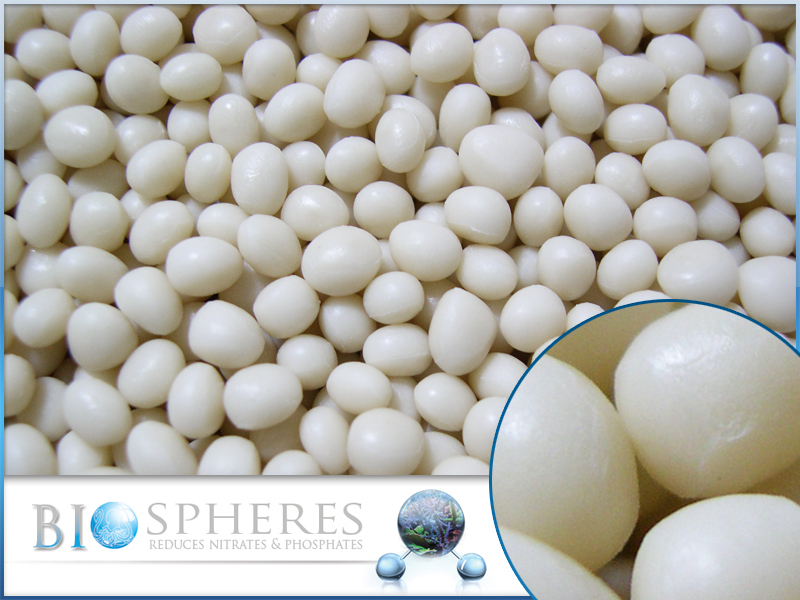 As with other bio-pellets on the market, the Bio-spheres encourage growth of beneficial bacteria and enzymes on the media’s surface. In turn, the bacteria will continuously metabolize nitrates and phosphates in the water column. CoralVue instructs to use 100 – 150ml of Bio-Spheres per 100 gallons of system water volume. First, make sure to rinse the media in ro/di water, and then place the media in a fluidized media reactor. Make sure to have sufficient flow, so that the media does not clump or slime up. Obviously, if the media clumps, you are reducing the surface area and making the media less effective. Another possible result of insufficient flow, is that the environment may turn anaerobic and produce hydrogen sulfide. It’s also recommended that the media reactor output be directed towards the protein skimmer input zone. CoralVue says it will take 3-4 weeks for the media to colonize and begin reducing organic compounds. Note: high-bioload systems may experience temporary water cloudiness. As far as maintenance goes, the Bio-Spheres continue to function until they disappear (usually 8 months to a year), however, as they reduce in size, the surface area is reduced. It’s recommended that you replenish them ever 3 months. We where notified of a mistake on our website which the recommended amount should be 100-150ml per 25 gallons instead of 100gallons. Sorry for the confusion.